General Motors reported a hefty loss Tuesday due to costs connected to its Opel/Vauxhall sale, but won praise for moving aggressively to address an inventory overhang in North America. GM, facing a slowdown in North America after a multi-year boom, beefed up incentives in the third quarter to unload vehicles in the region, cutting into profit margins but lifting overall sales. But operating profits improved in overseas markets, with especially strong increases in Chinese deliveries. That enabled GM to report higher-than-expected operating earnings per share. Wall Street, which has been bullish on GM of late over its push into electric and autonomous-driving technology, liked the report, bidding shares higher despite a big loss. GM reported a $3 billion loss for the quarter ending September 30 due to $5.4 billion in one-time costs associated with the Opel/Vauxhall deal. 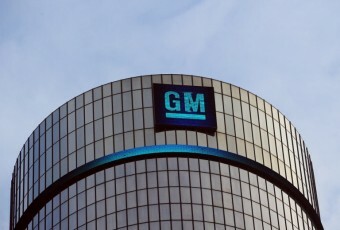 GM in March announced the sale of its European division to PSA Groupe for $2.3 billion. Most of the charge related to the Opel/Vauxhall sales consisted of $4.3 billion in tax assets that won't be realized due to the transaction. Revenues were down 13.5 percent to $33.9 billion. "Solid performance in all operating segments led to a very good quarter. With an aggressive vehicle launch cadence through the fourth quarter and an ongoing intense focus on costs, we project strong results through the end of the year," said GM chief financial officer Chuck Stevens. GM has curtailed production of vehicles at several North American plants due to weak demand, especially of sedans. The automaker's incentives for the period came in at 106 percent of the industry average. US dealer inventories now stand at 35,000 above the year-ago level, but were down nearly 160,000 from the end of the second quarter, the company said. Weaker profits in North America were partially offset by higher profits in GM's international operations division. The company also swung to an operating gain in South America from a loss in the year-ago period. Morgan Stanley praised GM for proactively managing its North American profile despite a slowing market. "GM has taken its lumps up front in the quarter to help ensure a reduction of year-end inventory from levels that were quite worrisome earlier in the year," Morgan Stanley in a note. However, the investment bank said GM, now at a higher stock value, "faces the rather high-quality problem of execution risk, while the underlying market fundamentals become more difficult to sustain." GM shares rose 1.7 percent to $45.92 in morning trading.